Jim Norton Toyota of Oklahoma City is eager to provide for all of your vehicle needs, and can't wait to welcome you over to our Oklahoma dealership! Our team of professionals is here to assist with your vehicle needs, no matter what they may be! From receiving valuable research information on the Toyota lineup to securing financial assistance and even reviewing employment opportunities, our Toyota dealership in Oklahoma City is here to help! Give us a call to (405) 679-2777 or more information! Our dealership offers complimentary WiFi as well as a children's play area and televisions, so grab the whole family and head over to give your Toyota the attention it deserves! If your ride needs to stay with us for a larger repair or maintenance, we'll go over our shuttle service or talk to you about the rental you're interested in. Our dealership even offers exterior car washes, be sure to ask us about the details today! Don't spend another day without the eco-friendly Toyota Prius you've had your eye on, visit Jim Norton Toyota of Oklahoma City near Edmond today! Our car dealership carries an extensive selection of brand new Toyota vehicles to choose from, and our team is excited to walk you through the amenities of the vehicle that captures your attention. Allow us to schedule a test drive on that Toyota Camry that stood out to you, and go over the safety features that come standard as well as the included ToyotaCare plan that will have you driving with confidence! Use our website to find your Toyota Highlander right now or visit our dealership in Oklahoma City, OK to have one of our knowledgeable team members accompany you on this quest! We're looking forward to finding the Toyota lease offer that leaves both you and your wallet satisfied, visit us today, grab a complimentary cup of coffee and stroll through our inventory! Interested in a Toyota vehicle that offers like-new quality, an affordable price tag, and a comprehensive warranty? Shop our certified inventory right now! Our Toyota dealership near Yukon, OK has compiled an impressive collection of previously owned cars, and we have thoroughly inspected and tested each for safety, so contact us to schedule a test drive now! We offer bottled water as well as popcorn, so grab a snack and explore all the used cars our Toyota dealership has to offer! We can even provide you with an appraisal on your current ride so you can determine if upgrading your vehicle is a viable option for you! Use our secure form to value your trade today and then shop onsite or online! From military offers to student discounts to vehicles available for under 10,000 dollars, our Toyota dealership has a slew of specials to take advantage of! Spend some time reading up on them right here on our website or reach out to us at to have one of our staff members go over the details of the offer you're interested in. Our dealership is always looking for ways to help our customers save some money while securing the Toyota RAV4 they've wanted, don't miss your chance to own a reliable Toyota vehicle today, browse our specials now! Our finance department is here to provide you with some viable car loan packages as well so you can take on those affordable monthly payments with ease! Send over a completed online credit application right now to get some help with your sub-prime auto loan! We work with different credit unions and lenders so that we may provide you with a wide range of options to choose from, don't let that repossession stand in your way any longer, team up with Jim Norton Toyota of Oklahoma City near Moore, OK today! Ensure your Toyota Corolla runs smoothly for years, bring it into our service department to get the oil changed today! By staying on top of those tire rotations and brake pad inspections you help prolong the lifespan of your vehicle while also looking out for your safety, use our online booking service to schedule your appointment now! Our certified technicians are eager to get you fixed up and on your way home to Norman, OK in a flash! We'll also double-check our service and parts specials so you don't miss out on any current offers! If you're looking to spend some time under the hood yourself, check out our parts department and the wide range of genuine OEM items we carry. Jim Norton Toyota of Oklahoma City in Oklahoma City, OK looks forward to welcoming you to our dealership soon. 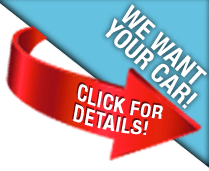 From financing to purchases to services, our team has your vehicle needs covered!